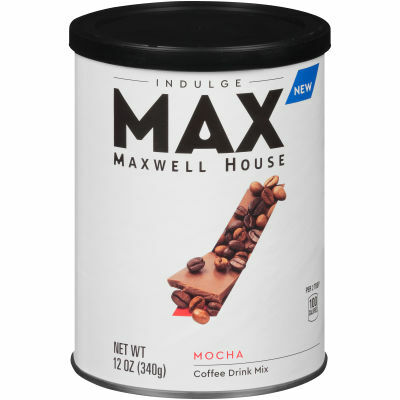 Delight Your Senses with Mocha - Reward yourself at the end of a long day with a cup of MAX by Maxwell House Indulge Mocha. This instant coffee beverage delivers a bold and flavorful coffee experience that will gratify your sweet tooth with its tasty chocolate essence. Indulge Yourself - Quick to make and sinfully satisfying, you'll love this rich, custom-roasted coffee beverage that instantly transforms into an aromatic café mocha. Simply mix with hot water or milk and enjoy. For ultimate decadence, top it off with whipped cream and chocolate shavings. Serving size 2 Tbsp (25g).